MainAll NewsUS & CanadaDid Obama Lie about Netanyahu Congress Invitation? 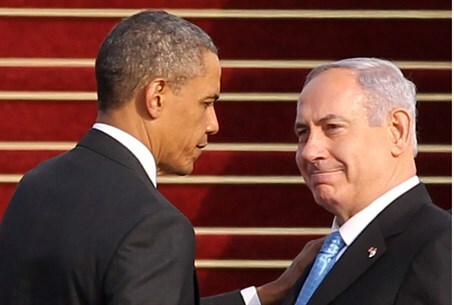 Did Obama Lie about Netanyahu Congress Invitation? It now turns out the White House was told of the invitation extended to the PM before Netanyahu accepted it, not after. US President Barack Obama's administration has responded harshly to Prime Minister Binyamin Netanyahu's accepting an invitation to address the Congress two weeks before elections, saying he did so without first notifying the White House - but was it lying? The fallout of the speech has led Obama and US Secretary of State John Kerry to say they won't meet with Netanyahu, and Vice President Joe Biden to boycott the speech, with the latest wrinkle being a reported White House initiative to talk Netanyahu out of the speech. In making the accusations that Netanyahu is coming unannounced, White House Press Secretary Josh Earnest said typical protocol was for leaders to contact the White House before planning a visit, claiming the White House didn't learn of the invitation until just before House of Representatives Speaker Republican John Boehner publicly announced that he had offered the invitation and that Netanyahu had accepted it. Likewise, State Department Spokesperson Jen Psaki said "traditionally we would learn about plans of leaders…separately from…the Speaker," again insinuating that Netanyahu did not inform the White House of the visit. However, David Bernstein writes in the Washington Post that a New York Times correction added to the original story on January 30 revealed that "an earlier version of this article misstated when Prime Minister Benjamin Netanyahu of Israel accepted Speaker John A. Boehner’s invitation to address Congress. He accepted after the administration had been informed of the invitation, not before." The correction has yet to lead to a retraction of the criticism on the part of the White House, and many are asking why the New York Times isn't publishing how it came to learn that the administration was in fact informed in advance and how that happened. While the correction doesn't detail who informed the White House, it still means that the White House knew about the invitation ahead of Netanyahu's acceptance, and most likely, Netanyahu knew that the White House was informed when he accepted. Also, Obama apparently didn't oppose the idea after being informed, given that the invitation went ahead as planned. That being the case, Obama's criticism of an "unannounced visit" would be completely off base. Commenting on the revelation, Bernstein stated: "we have a situation in which the administration was so grossly incompetent that it was circulating false information about Netanyahu from multiple spokespeople, or that it intentionally sought to undermine Netanyahu by lying about his alleged 'breach of protocol.'" Likewise, the American Thinker website noted that Boehner similarly invited Netanyahu in 2011, letting the White House know his plans and never hearing back from them. The site points out Boehner went ahead with the invitation and the White House did not slam Netanyahu at the time as it has done now.